Mary Brandon earned both her Bachelor of Science in Education and Master's in Gifted Instruction from Bowling Green State University. She has taught for the Northwest Ohio ESC in Williams and Defiance counties since 2011. Prior to that, she was a teacher at St. Patrick in Bryan for 18 years. Her experience in gifted instruction ranges from kindergarten through eighth grade. Presently, she is teaching gifted reading to seventh and eighth graders at Northeastern (Tinora). One of her favorite characteristics of gifted students is their humor; it makes each day worth the effort. She and her husband, Jeff, an IT specialist, live in Bryan, Ohio. They enjoy spending quality time with their two adult daughters and their families. Before joining the Northwest Ohio ESC team, Josh Clark was the principal at Evergreen High School, and an English teacher at Tinora High School, Edgerton High School and Wabash High School (IN). Josh is the author of nine novels for young adults and enjoys a good cup of coffee, a deep conversation, and watching Ohio State football and Houston Astros baseball. When he is not at work, Josh enjoys spending time with his wife, Cindy, and their three children, Landon, Lydia, and Lynley. Kris Dobbelaere is in her sixth year as the Director of Curriculum, Instruction and Professional Development with the Northwest Ohio ESC. Prior to that, Kris was a General Education Consultant with the Northwest Ohio ESC for twelve years and a fourth grade teacher in the Paulding Exempted Village School district for eighteen years. Kris is passionate about empowering others to share their strengths and expertise in order to be the best they can be. In her spare time, you will find Kris mowing her lawn, spending time with family, enjoying her home in Michigan and cheering for THE Ohio State Buckeyes! Before joining the Curriculum and Gifted team at the Northwest Ohio ESC, Kallie Gensler was a middle school Math, English Language Arts, and Science teacher at Patrick Henry Middle School and Bryan City Schools. 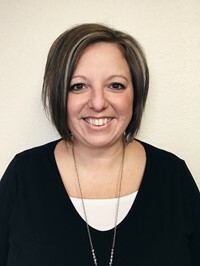 Kallie earned both her Bachelor’s Degree in Education in 2000 and her Master’s Degree in Educational Administration in 2005 from Bowling Green State University. She also has her Gifted Intervention Specialist Endorsement from Muskingum University. Kallie loves spending time with her husband, Jamie, and their two children, Kiera and Jayden. She also enjoys watching her kids in their various sporting events, hanging out by their pool with family and friends, going to the lake, and cheering on the Ohio State Buckeye football team, Kansas Jayhawk basketball team, Cleveland Browns, Cleveland Indians, Cleveland Cavs, and Detroit Red Wings. 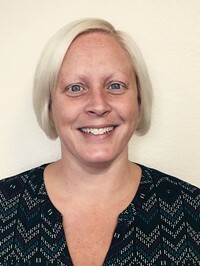 Prior to joining the Northwest Ohio ESC, Katie Jimenez was a high school history teacher at Stryker High School for ten years and before that served as the Director of Education at Sylvan Learning Center. Katie earned her Bachelor's degree from the University of Toledo in 2004 and her Master’s degree in Educational Administration from Bowling Green State University in 2012. She enjoys spending time with her husband, Jesse, and their three children, Theo, Thad and Elise. She also enjoys time with her stepdaughter, Jacquelyn, and her husband Nick, cheering on the Fighting Irish of Notre Dame, and wishing for a lot of snow during the winter months. According to Katie, the best part of her job is the ability to have a positive impact on the lives of students, teachers and administrators. Sally Kovar has been in education for 24 years. 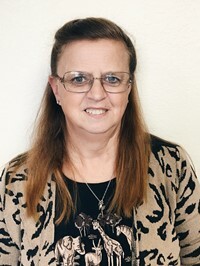 After college graduation, she worked for Fayette Local School districts for seven years teaching different grade levels ranging from grade two through grade six in multiple subjects. 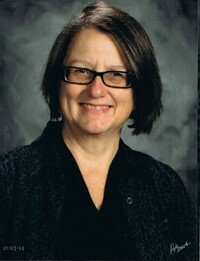 Sally started working at the Northwest Ohio Educational Service Center in 2002. 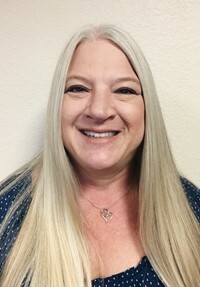 She earned her Bachelor's degree from the University of Toledo in 1994 and her Master's degree in Administration in 2004 and is presently working on her Gifted Intervention Endorsement to further her knowledge base. Sally enjoys spending time with her husband, Dan, of 40 years, her four children, their spouses and her ten grandchildren. In her spare time, Sally enjoys working in her woodworking shop and greenhouse, gardening, and teaching classes at her local church. She thinks the best part of her job is the positive impact she can have on a child's academic life. MathCounts is her passion and one day, she plans to send a student from Northwest Ohio to Nationals for the competition. Amy Kramer has been in education for 15 years. Upon graduating with a degree in Early Childhood Education, she held instructional and leadership positions. 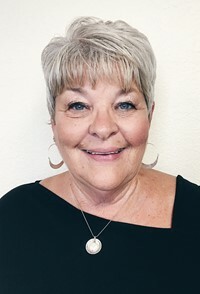 She started out as a first and second grade teacher, moved on to be an assistant principal, then a principal, and also adjunct instructor at Bowling Green State University where she taught courses in the Inclusive Early Childhood program and the School of Intervention Services. After spending eight years in the administrative realm and earning her Master's in Administration and her Intervention Specialist License, she decided pursue her Doctorate in Leadership Studies where she is currently in the last phase, completing her dissertation on co-teaching. Alison Luderman is the Director of Student Services at Patrick Henry Local Schools. 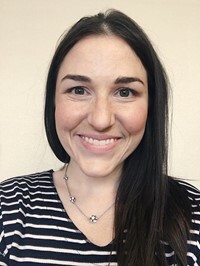 Prior to joining the Northwest Ohio ESC team, Alison worked as a middle school teacher at Kalida Local Schools where she taught fourth, fifth and sixth grade Science and Reading. 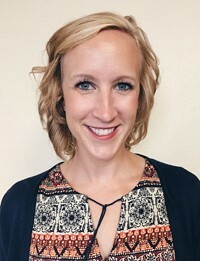 She earned her Bachelor’s degree from Shawnee State University in 2010 and Master's degree in Administration from Concordia University Chicago in 2018. Alison enjoys spending time with her husband, Rob, and their two children, Bo and Larkin. Stacey Parrish earned both her Bachelor of Science in Accounting and Master's in Education degrees from Defiance College. She completed her coursework for her professional administrative licensure through Bowling Green State University. Prior to joining the Northwest Ohio ESC in 1998, she first served as a teacher for at-risk students as Program Director for the Northwest Ohio Private Industry Council. She thinks the best part of her job is when students without self-confidence begin to believe in themselves. Stacey had two adult children: Samantha, who resides in Clevelend, and Mathias, who refuses to leave the nest. She enjoys horseback riding and taking care of her many horses, cats, and dogs which she affectionately calls her barnyard therapy! 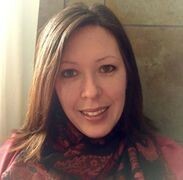 Prior to joining the Northwest Ohio ESC team, Ashleigh Repp enjoyed seven years using her creative talents within higher education in Michigan. She has standout memories of teaching college-level media writing and also teaching English in rural Thailand to a school full of fantastic elementary and junior high students. She earned her Bachelor of Arts degree in Journalism from Andrews University in 2010. In her spare time, you can find Ashleigh in her garden, snapping photographs, and spending quality time with her husband, Doug.